Step away from the hustle and bustle of big medical practices. CVMA is a small, friendly cardiology office that knows all of our patients by name. Your health matters to us. Our staff can be reached by phone 24/7. CVMA provides high quality care for the whole family. Ask for a double appointment for you and your spouse. CVMA gives you access to all of your health records. We create an account and password for each patient to access our state-of-the-art electronic medical record keeping software. In the United States, someone has a heart attack every 34 seconds. Partner with CVMA to prevent this from happening to you. CVMA offers lifestyle plans that benefit the entire household. We want to reduce your need for medications and prevent future health problems. 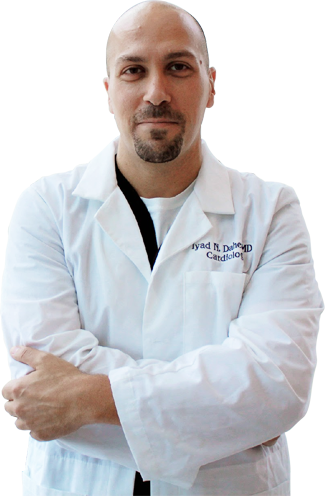 Dr. Iyad Daher is a cardiologist whose main clinical focus is prevention. He is board certified in Internal Medicine, Cardiovascular Disease, Echocardiography, and Cardiac CT. He has particular expertise in advanced cardiac imaging, including Cardiac CT, Echocardiography, and Nuclear Imaging. CVMA's medical weight loss program helps improve your overall health by promoting a healthy lifestyle. CVMA wants to keep you well. Our office utilizes early detection tests to find disease before you feel symptoms. Our high quality services can help prevent a heart attack or stroke from ever occurring. CVMA has the dedication, knowledge and skill to manage your heart health. Partner with us to help you live a heart healthy life. We encourage all of our patients to be proactive in their healthcare. Don't wait for something bad to happen! Become educated & partner with us to prevent cardiac disease in yourself and your family.